Katie Karmelek, Vention Medical, discusses how digital innovations in sourcing extrusions have helped design engineers get products to market faster. The race to innovate and get medical devices to market faster has underscored the importance of sourcing high-quality, medical-grade extrusions earlier in the design process. Design engineers use extrusions in a range of applications, from simple IV lines to complex valve replacement devices. 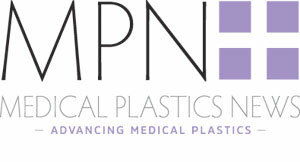 Regulatory bodies are increasingly scrutinising devices to ensure that manufacturers use medical-grade material resins, pigments, and processing techniques during the development process. For decades, engineers iterating their devices had to order custom runs of extrusions early in the development process, often with long lead times and high minimum orders that were costly and wasteful. Alternatively designers had to resort to non-medical, industrial tubing without certifications or material traceability, which required retesting with medical-grade extrusions later in the process. Taking a page from the retail industry, several medical device suppliers now offer online stores with in-stock, medical-grade products that ship quickly, bypassing the request for quotation (RFQ) process. Online stores often have low minimum order quantities, which save development costs and reduce waste. Vention Medical broke new ground when it launched the industry’s first online store in 2012. Inventory has now grown to more than 1700 components and technologies—including medical balloons, medical tubing, and the Versatility Universal Handle— ready to ship within 24 hours. "What Vention has done with its online store is a game-changer,” said David Rezac, a development engineer and principal of Distal Solutions, a Boston-area medical device consultancy. “It puts a huge number of right-sized options at my fingertips, enabling much faster front-end R&D. Knowing that each product can be scaled through a mature, qualified supply chain means you can develop with confidence. No more choosing between speed and quality." Building on the success of online stores, several suppliers have leveraged digital technology to speed the design process, with online tools to design semicustom or custom tubing, balloons, sheaths, guidewires, and balloon catheters. These tools can dramatically reduce the time and cost of developing a catheter-based device. Vention has developed several online design tools, including two specifically for engineers who need more customised extrusions than the stock products available in the online store. Online tools like these allow designers to access custom extrusions faster and more conveniently than ever before, with no need to pick up the phone or wait weeks for a lengthy RFQ process. This online tool lets design engineers choose from a range of specifications (including ID, OD, wall thickness, length, and 20+ materials) to order custom, single-lumen extrusions. Design your own extrusion: Engineers who need full customisation beyond the standard specs can use this tool for even greater flexibility. Designers can simply input their design specifications (including the option of uploading a design file) and receive a quote for a custom extrusion within 24 hours. As more digital tools become available, it is also critical to support them with the proper extrusion equipment and resources to provide custom extrusions faster than ever before. Several suppliers have dedicated extruders offering rapid or quick-turn extrusions, putting complex extruded tubing into engineers’ hands in several days rather than several weeks or even months. These three innovations have changed the way medical device engineers source extruded tubing. With these digital advances, startups as well as medtech giants have equal access to the components they need, which has helped to level the playing field. When designers get the components they need in their hands faster, they can iterate more quickly, get their prototypes built and ultimately, get their products to market faster.